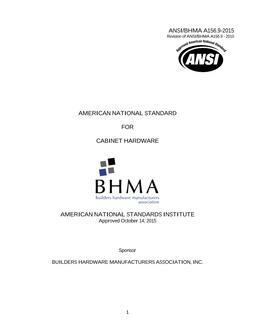 BHMA A156.28-2018 is intended for building owners, security professionals and others responsible for designing, implementing, and maintaining secure keying systems. Minimize legal liability by providing industry proven guidelines. It covers system design, to provide design criteria to establish and maintain a secure keying system. 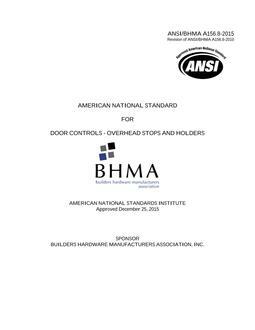 The purpose of this document is to provide guidelines for the essential keying conference, establish good practices for effective key management, and give building owners the ability to extend the life of keying systems to meet future demands. .